From a young age, I knew the world was a cold place. Everyone I loved– left me. I felt like I was the reason no one wanted me, and that the only person who would love me was me. I never lived in one place for more than a year. I feared letting people in, because it hurt so bad when they walked out on me. Little did I know that soon, I would be responsible for someone other than myself. 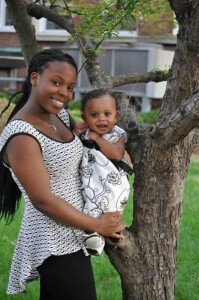 At 17, I found out I was pregnant. But from the moment I was told I was having a little girl, my world went from black to gold. I remember thinking–God is giving me a second chance at life. My daughter was ME being reborn. Almost two years ago, when I was six-months pregnant, I came to St. Mary’s Home. The staff helped me to feel safe and worked with me as I prepared for the birth of my daughter, Elise Sonia Rose who was born on June, 16, 2013. A week after the birth of Elise, I was rushed back to the hospital. At first, the doctors thought I had pneumonia, but it turns out I had cardiomyopathy, a chronic heart disease that can be fatal. After a week in the hospital, I was finally released along with Elise. St. Mary’s Home welcomed us home. I was put on medication, I watched my diet, and I gave up my beloved Red Bull. The GRLZradio.org staff also welcomed me and Elise with open arms. The staff was my role models. After so many years of being alone, I found my family. I looked up to them, because of their wisdom; I knew it was time to get my head back in the books. Although my passion for school was on fire, I didn’t always show it. I skipped high school a lot. My actions soon caught up to me. While my peers were finishing high school, I was being left behind. 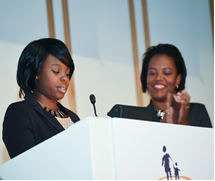 Once I made up my mind to really focus on school- I was accepted into another amazing St. Mary’s program– the Women’s Learning Center. I felt like I had something to prove, not only for myself, but for my daughter. And this past June, I received my high school diploma! I couldn’t have done it without the Women’s Learning Center. 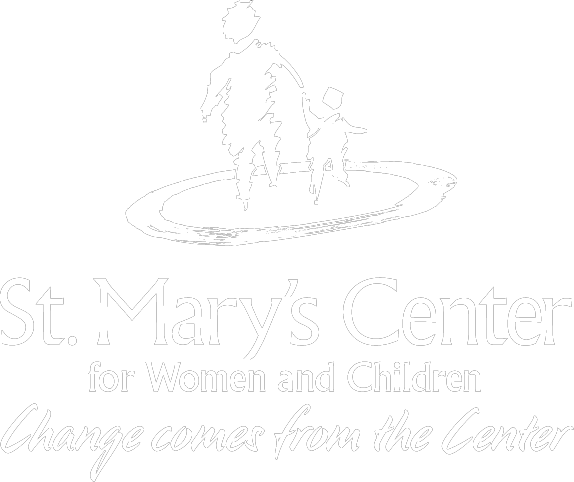 For almost two years, I have been at St. Mary’s Center. My entire life has changed. And for the first time in my life, I didn’t run away! To this day, I try not to imagine where I would be if I hadn’t stayed at St. Mary’s Center. I was strong before, but I’m so much STRONGER now! CHANGE really does come from The CENTER. I had to Change MY HEART to CHANGE MY MIND. St. Mary's Center for Women and Children shared a post. Amid the opioid epidemic, the state’s Department of Children and Families has failed to recruit and retain enough foster parents to shelter all the abused and neglected children without a safe home.